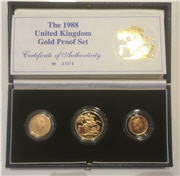 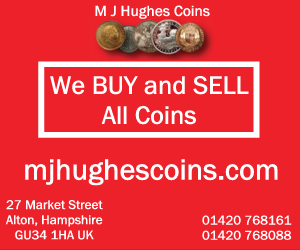 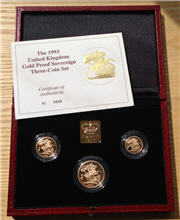 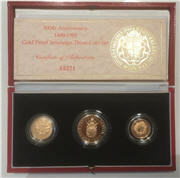 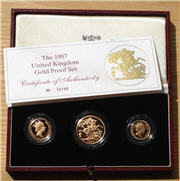 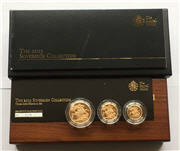 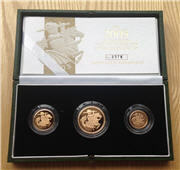 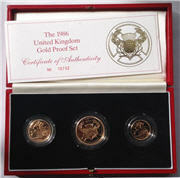 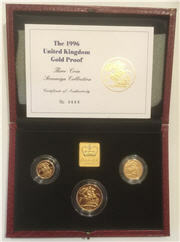 Gold 3-Coin Sets have been made by the Royal Mint since the early 1980's. 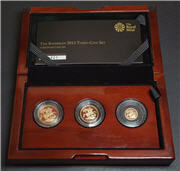 The 3 coins can vary so you should check the documentation carefully. 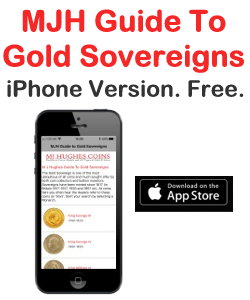 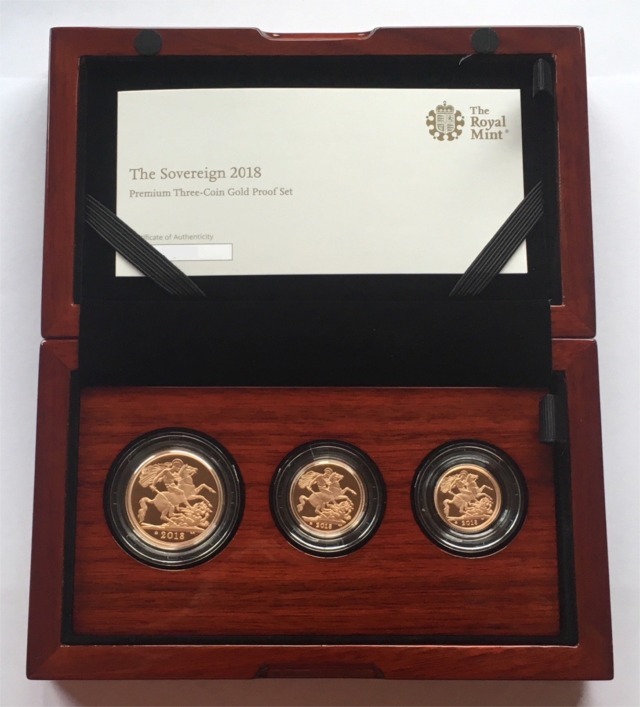 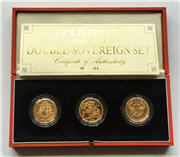 In 2010, the Royal Mint started to issue two sets per year; the standard set has a sovereign, half-sovereign and quarter-sovereign, and the premium set has double-sovereign, sovereign and half-sovereign.